Title: MAJOR NATIONS ARE COOPERATING WITH PRESIDENT BUSH ON HIS WAR ON TERRORISM -- INCLUDING OLD ENEMY RUSSIA! Subtitle: Revelation 17:17 is being stunningly fulfilled in your Daily News! Indeed, it is almost unthinkable that old enemy Russia would be cooperating with President Bush's global attack on Terrorism to the degree that he is going to take the steps listed above. After all, ever since Lenin led the Communist Revolution of 1917, Communist Russia has been an implacable foe to the United States. Russia not only led a coalition of nations against the United States and Europe, but they created a most formidable military that continually threatened us. NEWS1459 -- "Clinton's Fatal Leadership: Russia Has Leapfrogged Over Us In Several Critical Areas"
NEWS1353 -- "Russians May Have Sunk The U.S.S. Thresher Submarine with Particle Beam Weapons"
NEWS1449 -- "Has Russian and Chinese Technology Doomed The U.S. Navy In the Planned WW3?" Who can forget the attitude of the Russian Communists toward the United States as exemplified by the statement from Premier Nikita Kruschev when he stated, "We will bury you"!? The rhetoric got so hot and heavy that, during the 1950's, citizens were urged to build bomb shelters that could protect us against Russian nuclear attack. Of course, in Seminar 2, "America Determines The Flow Of History", we demonstrate that Communism was created from 1846-1848 by 12 high-ranking Freemasons to specifically create the opposite [Antithesis] system to the prevalent Western Thesis. Then, in the demonic vision of 1870, Masonic leader, Albert Pike, was told how the Illuminati would stage Antichrist; Communism was singled out as the "dynamic force" that would bring about the New World Order. You see, Illuminized Masons believed that, "Controlled Conflict Brings About Controlled Change"; in formula, this equation is stated, "Thesis battling Antithesis will bring about Synthesis". Thus, the Western Capitalist powers battling Communism during the Cold War will bring about the New World Order. "If this isn't bad enough, Russia and China have signed agreements to share economic and military intelligence." [P. 13] Putin and China have recently signed agreements of economic and military cooperation so this Yeltsin policy is continuing. This is the Russian tiger, and its spots do not change! 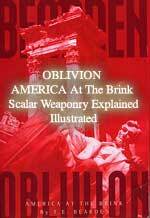 In Bible prophecy, Russia is probably the country at whose hand America is destroyed [More about this subject later in this article]. If this grim scenario is still reality, then how can we reconcile it with the current unprecedented cooperation Russian Prime Minister Putin is giving President Bush in his global war on terrorism? How is it possible that the Russian Premier has given America use of bases that are under the hegemony of the Russian military? Once you understand, you will be excited because you will realize you are looking at the fulfillment of powerful Bible prophecy. Event #1 -- Daniel sees the nations of the world reorganize into only 10 super nations, each one with a ruler. The last time Satan tried to establish a One World Government, Economy, and Religion, was at the tower of Babel. This tower was really a Satanic high worship tower, upon which priests would offer their supreme sacrifices to Lord Satan. God became very angry, and confounded the languages so people could not communicate with each other to finish the project. From that moment on, God's plan is to have many separate nations, without allowing any single nation to dominate the entire world. Satan's plan since Babel has been to unite all nations in the world into a single government, economy, and religion. Thus, people who are Biblically knowledgeable and spiritually discerning should know instantly that the United Nations is Satanic, which indeed it is. When Presidents Bush Senior, Clinton, and Bush Junior all pledge allegiance to the United Nations, you know which spirit they are following. The nations of the world were reorganized into only 10 super nation states on paper in 1972 by the Club of Rome. Their map is shown to the left in color. 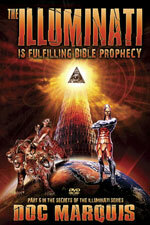 You can understand clearly that this Illuminati Plan, when completed, will exactly fulfill this prophecy in Daniel. As of this moment, only a few of the supernations have been formed, so the world stands a number of years before these supernations are formed and functioning. The world stands ready for Event #2 of Daniel 7:7-8. Event #2 -- Another horn, similar to the 10, but smaller, came up among the 10 horns. This "l1th" horn is Antichrist. This sequence tells us that, once the world is reorganized into only 10 super nations, the next prophesied event would be the appearance of Antichrist. Event #3 -- Three of the original 10 super nations are totally destroyed by Antichrist, prophesied to be "plucked up by the roots". Notice the Biblical prophecy that these 10 kings have "one common policy (opinion, purpose )"! In other words, these 10 kings are prophesied to be carrying out a conspiracy to subvert the normal political authority of the governments of the world in order to act together to carry out plan, or policy, upon which they agreed! This verse is one of the most powerful in all the Bible that proves a human political conspiracy is prophesied to be in place and operating at the End of the Age. Today, the world stands at this point of cooperation amongst the 10 super rulers of the earth, cooperation unprecedented in world history! A quick check of the Illuminati plan to reorganize the nations of the world into only 10 reveals that America is part of NAFTA, Nation #1 and that Russia is part of Nation #5. Therefore, we should expect that, in this period between the official establishment of the 10 super nations of the world, and the appearance of Antichrist, the leaders of the 10 nations of the world should be cooperating in a manner unprecedented. We should expect that the leader of Super Nation #5 [Russia and Eastern Europe] should be cooperating closely with the leader of Super Nation #1 [North American Union]. Their final goal is to produce the Masonic Christ, the Biblical Antichrist! Thus, we know for certain that the end purpose of this cooperation between Prime Minister Putin of Russia and President Bush of America is to produce Antichrist! Of course, we have been shouting this fact for many years, and thank God, more and more people every day are beginning to wake up and take notice. Once you understand that the period of time between Events #1 and #2 of Daniel 7:7-8 is prophesied to be one of unparalleled cooperation, you can understand how prophetically significant it was that the USSR [Union of Soviet Socialist Republics] was deliberately dismantled before the first of the 10 super nations was created! The planned 10-Nation confederation could proceed once Russia had broken off from the USSR, and Eastern Europe was free of Russian control. In other words, the political changes in the USSR occurred just before the creation of the first of the 10 nations, a most necessary action if Bible prophecy in Daniel 7:7-8 could occur. Ever since the USSR was deliberately dismantled, America and Russia have moved closer to each other, although the progress has been in fits and starts. But, during the 4-year creation of all the 10 super nations, cooperation between America and Russia was more the norm than ever before, as the foundation was being laid for this ultimate cooperation in the very time period between Daniel's Events #1 and #2. Jesus finishes His prophecy concerning the cooperation between the leaders of the 10 Super Nations, in Revelation 17:17: "For God has put it into their hearts to carry out His own purpose by acting in harmony in surrendering their royal power and authority to the beast, until the prophetic words (the intentions and promises) of God shall be fulfilled." Australia, South Africa, and the rest of the market-economy of the developed world . China -- Now you know why President Clinton tried so hard to classify China as a "partner" and not an enemy. When I attended the members-only meeting of the Satanic secret society, House of Theosophy, on August 18, 1993, I learned that, even though the leader of every one of these 10 super states may not be visibly apparent, he is in position, and known in the occult world [Read NEWS1052 for full details]. Thus, we should not be surprised at this unprecedented show of Russian support for President Bush's global war on terrorism, as such cooperation is Biblically prophesied during the time period leading up to the appearance of Antichrist. The fulfillment of this 1,900-year Revelation prophecy is now occurring, in your Daily News! "... God has put it into their hearts ... by acting in harmony in surrendering their royal power and authority to the beast ..."
Note that this prophesied "acting in harmony" will last only until Antichrist is on the world scene. Daniel 7:8 -- "I considered the  horns ... and another horn, a little one, before which three of the first horns were plucked up by the roots ..." Warfare immediately breaks out after Antichrist receives his power and authority from the collective 10 super leaders of the world. In other words, this 10-nation confederacy that shall "act in harmony" until they produce Antichrist and transfer their powers to him, is a "marriage" that cannot last, for one part is composed of baked potter's clay and the other part of the marriage is composed of iron. These two prophesied ideologies can never adhere! This is the "marriage bonds" foretold in this above Scripture! Capitalism verses Communism = Antichrist. This is Bible prophecy, and the Plan of the Illuminati parallels it perfectly. But, these verses above tell us that the marriage between Capitalism and Communism / Socialism will not last, because one system is like unto iron and the other system is likened unto burned potter's clay. As soon as Antichrist is produced, and receives his power, this "marriage bond" between Capitalism and Communism is going to fail! This "divorce" will be so bitter that three of the original ten supernations are totally destroyed. 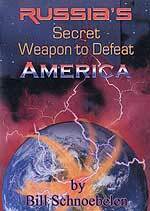 It is highly likely that Russia will attack America at this point, after Antichrist receives his power and authority. Once Russia has dispatched America, then she would feel free to move against Israel in fulfillment of Ezekiel 38-39, the invasion of Gog and Magog. I find it highly interesting that Russian forces are joined in this attack by forces from Persia [Iran], Togarmah [Turkey], Put [Ethiopia], and Libya. In other words, Russia will be joined by strong Muslim forces, as you would expect given their white-hot hatred of the Jews. However, what is even more interesting is the list of Muslim states not pictured marching with Russia is this overwhelming military attack on Israel. Egypt, Iraq, the Palestinians, Jordan, Syria, are not listed. Where are they when Russia invades? 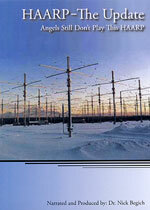 We believe they have been destroyed in the the planned series of regional wars and no longer exist. We stand at the period of prophesied world history, between the time of the creation of the 10-Nation confederacy and the time of the appearance of Antichrist. According to Revelation 17:17, this period will result in the leaders "acting in harmony" until their power and authority are transferred to Antichrist. Therefore, this harmony of the nations of the world in fighting global terrorism fulfills this prophecy exactly, and will result in the Third World War of Albert Pike's demonic vision that is designed to produce Antichrist. Both Revelation 17:17 and Peter Lemesurier are saying the same thing: no leader is acting on his own, because he is merely following a script written for him. Very few events occur by random or by the choice of the individual leader. The Holy Spirit has impressed upon the minds of the final world leaders to agree on a plan and to write a daily script so that each human leader will follow the plan precisely. Otherwise, the plan could go awry if leaders were free to act on their own. Therefore, Presidents Carter, Reagan, Bush, Clinton, Bush, Sr., and Obama are all following a written script; and their goal is identical, i.e., to do their part in their time period to stage the Masonic Christ. During many an election, voters have worried about whether a presidential candidate has enough "experience" to make correct decisions while in office. The candidate, when he assumes the Presidency, will merely be reading his daily script! Following his script ensures that he will be "acting in harmony" with the other leaders of the world. Revelation 17:17 reigns supreme. Isn't it exciting to see prophecy fulfilled in your Daily News! Truly, we live at the End of the Age. Are you spiritually ready? Is your family? Are you adequately protecting your loved ones? This is the reason for this ministry, to enable you to first understand the peril facing you, and then help you develop strategies to warn and protect your loved ones. Once you have been thoroughly trained, you can also use your knowledge as a means to open the door of discussion with an unsaved person. I have been able to use it many times, and have seen people come to Jesus Christ as a result. These perilous times are also a time when we can reach many souls for Jesus Christ, making an eternal difference.